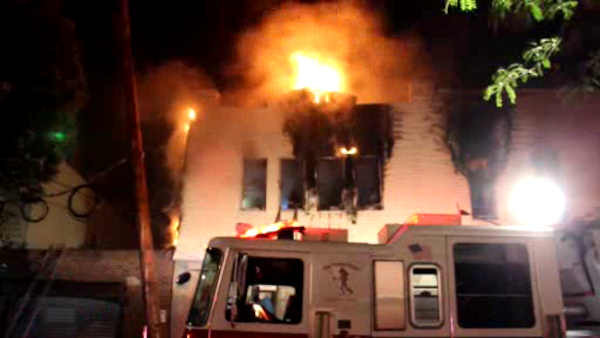 GLENDALE, Queens (WABC) -- A two-alarm fire ripped through the top floor of a two-story building in Queens Thursday night. The blaze began at about 9 p.m. in a second-floor apartment on 66th Drive in Glendale. All the residents got out safely. No one was injured. Fire marshals are investigating the cause.